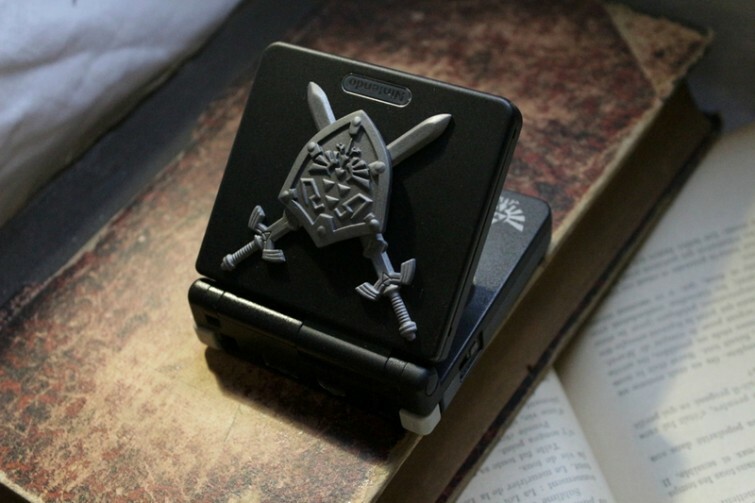 Why couldn’t Nintendo have mass produced these? 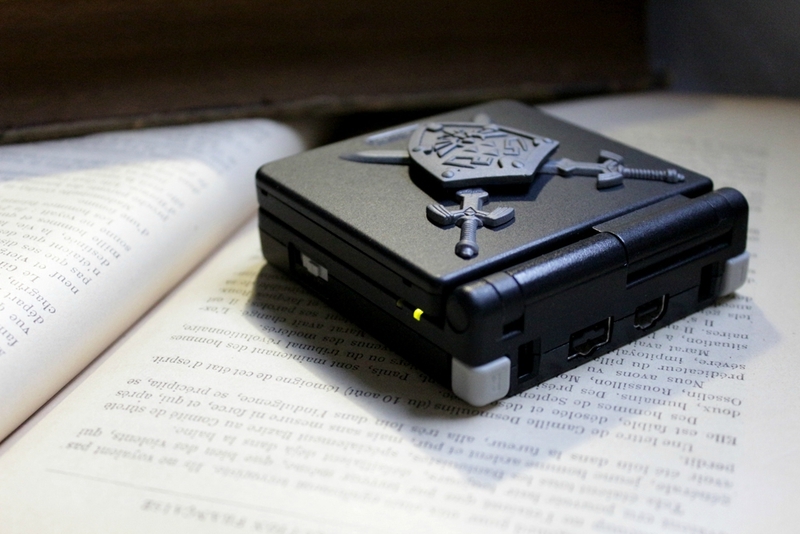 Belgium artist Vadu Amka made this Zelda-themed Game Boy Advance SP for his friend. Amka utilized acrylic paint, nail polish (for friction), matte varnish with UV protection and hand-cut resin. According to Amka’s blog, he only works with damaged, retro consoles. 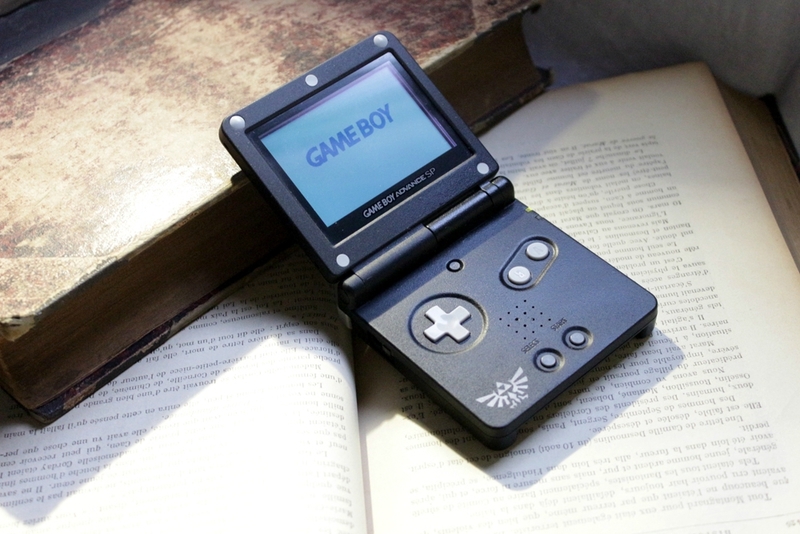 Other incredible mods from the artist include: a Final Fantasy-themed Super Famicom, a Metroid-themed Game Boy Advance and Legend of Zelda: Oracle of Ages-themed Game Boy Color. The unusual hobby of customizing classic gaming consoles has exploded over the past few years, with many artists selling personalize, made to order (and often expensive) customized classic game consoles. For many nostalgic artists, old game consoles provide the ideal surface to show off their creativity. Check out more console modifications right here on Retro Chronicle. 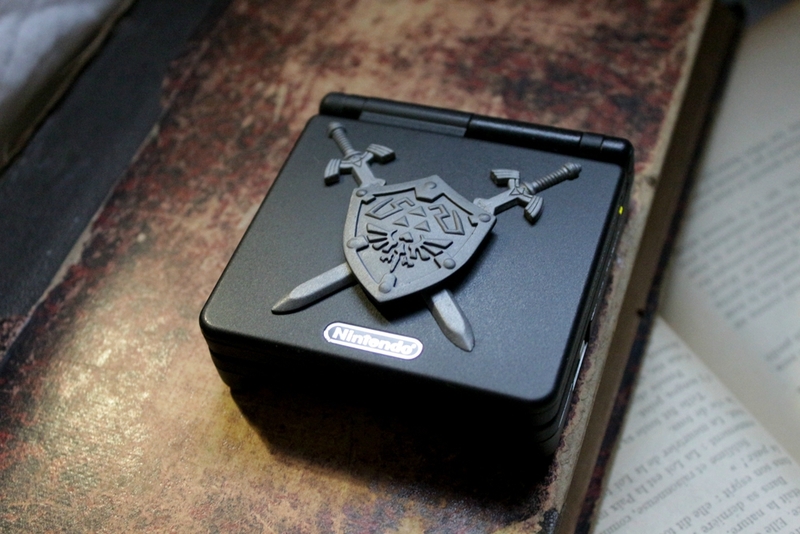 Also be sure to check out Vadu Amka’s blog where he discusses how he crafts these various pieces of console art.